the Nike+ Ipod Sport Kit is something unique and special enough that not only sets me in the right mood for a workout but also encourages me to keep it up. It’s so simple and yet so brilliant; in this kit you receive a wireless sensor for Nike+ shoes, wireless receiver for iPod nano and printed documentation. 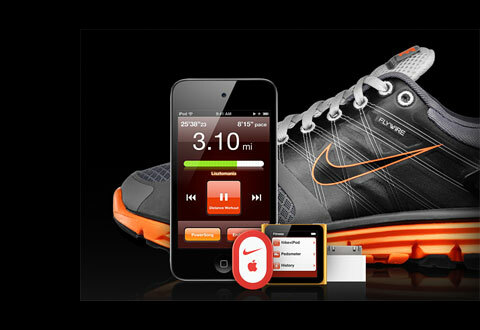 Then, you should insert the wireless sensor inside the custom, built-in pocket beneath the insole of your Nike+ shoe and then plug the receiver into the Dock connector on your iPod nano (iPod touch-2nd generation and iPhone 3GS includes built-in support for the system – no receiver necessary). Once all is plugged in, you can start your workout. As you walk or run, the sensor sends information to your device, tracking your time, distance, pace, and calories burned. If you choose, real-time, spoken feedback can even alert you to milestones throughout your workout. 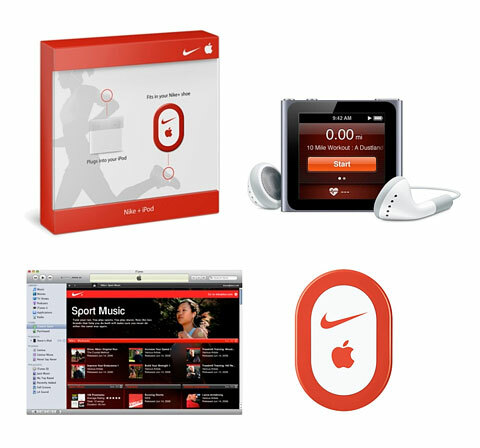 Back in your house and in front of your computer, sync your iPod to transfer your workout data to iTunes and Nike website. There, you can evaluate your performance history, set goals, and even challenge other runners to a virtual race. With this kit you can easily feel like you have your own personal trainer helping you with your workout and making it challenging as well as fun.